The City of Riverside has an active Graffiti Program, but we rely on our residents and businesses to be our eyes in the community. Our graffiti crews spend 70 percent of their time responding to and removing graffiti from service requests that are generated by reported graffiti. Anyone can get involved in the graffiti program! 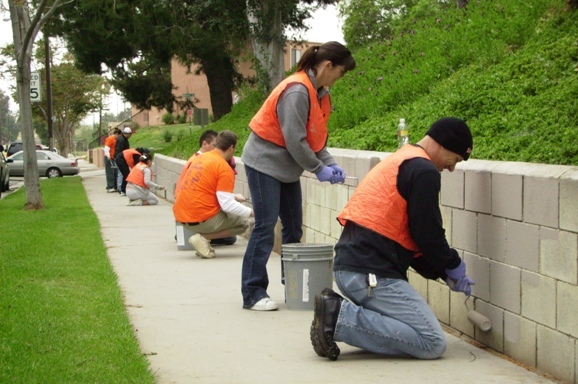 Residents can do anything from reporting graffiti for clean up to organizing a community paint-out event! Every effort helps, and every tag removed is one wall closer to a clean and graffiti-free Riverside. How much money has the City issued in graffiti reward(s) since the Rewards Program started? Simple Ways to Help Riverside Become Graffiti-Free! Remove graffiti from your business. Place plants in front of bare walls to deter vandals. Increase outdoor lighting around your home or business. Learn about graffiti vandalism and teach your neighbors about it. 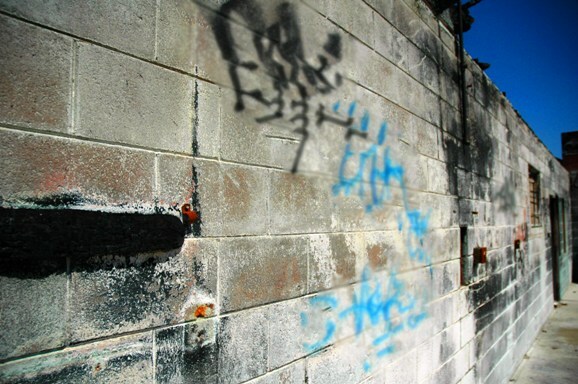 Supervise your children and recognize the warning signs of graffiti behavior. Encourage young adults to express themselves legally through art contests. Participate or coordinate community events to clean up your neighborhood.